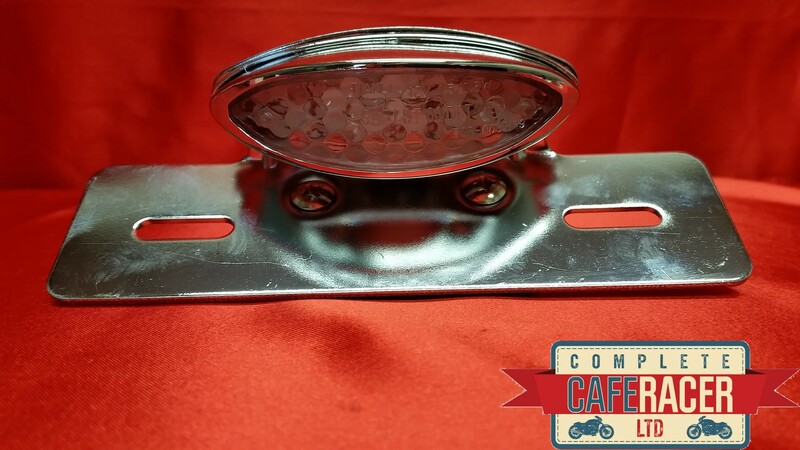 (L18) Cafe Racer Rear Stop/Tail Clear Cat Eye with Number Plate Bracket in Chrome is a small rear light with a clear lens and chrome bracket and includes Number Plate Light. 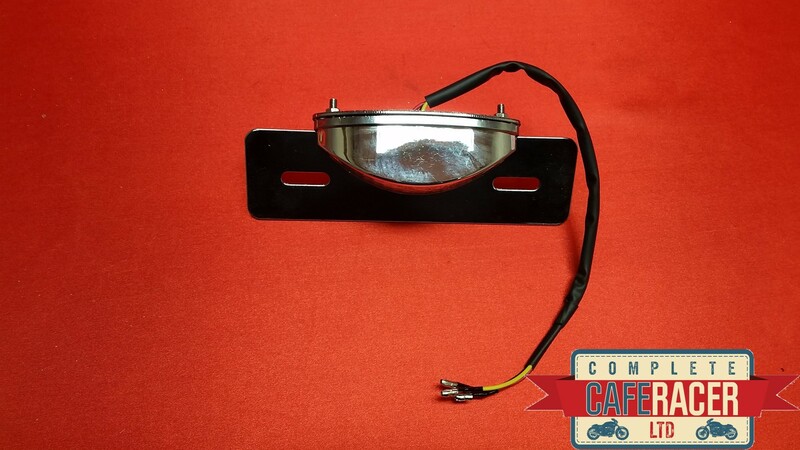 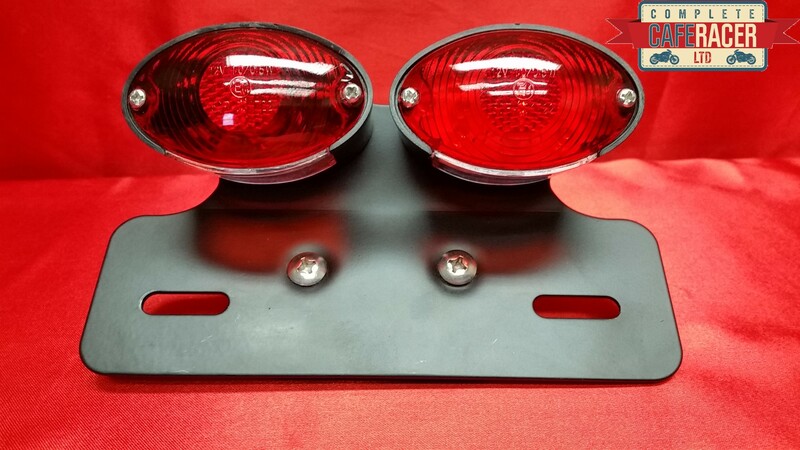 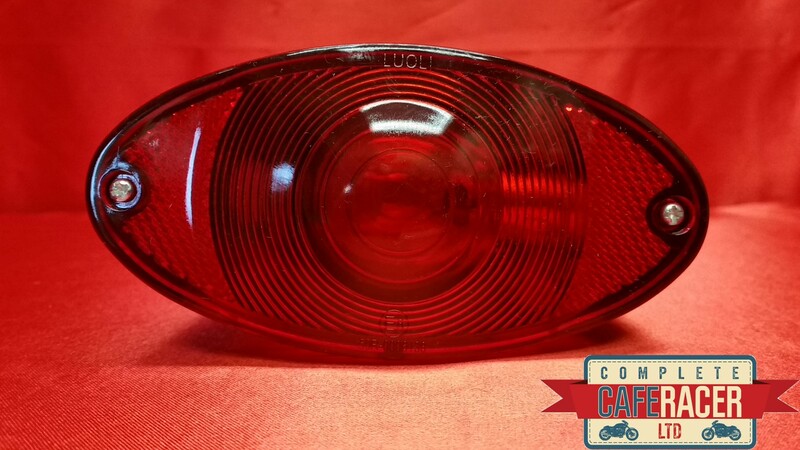 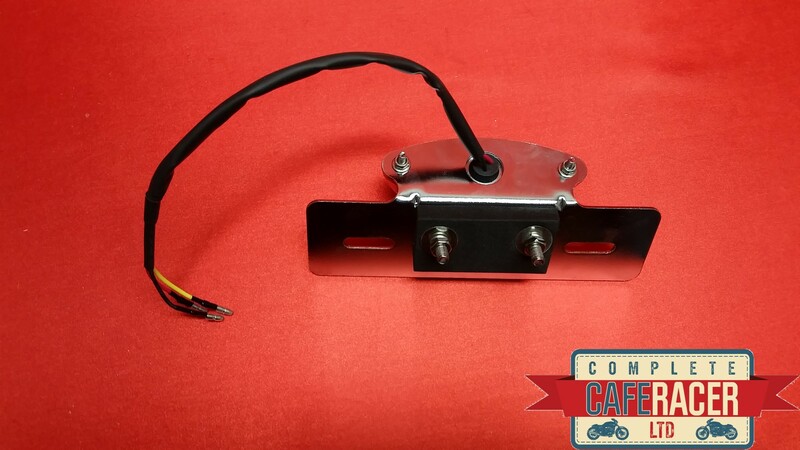 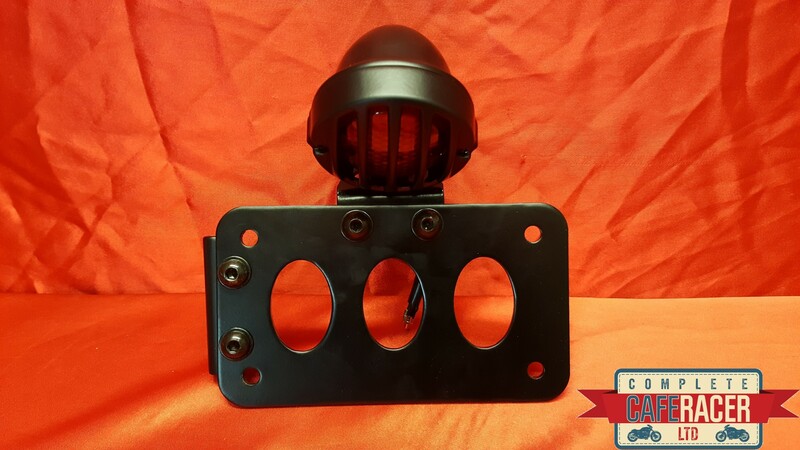 All of our rear light units are neat and are a must-have (literally!) 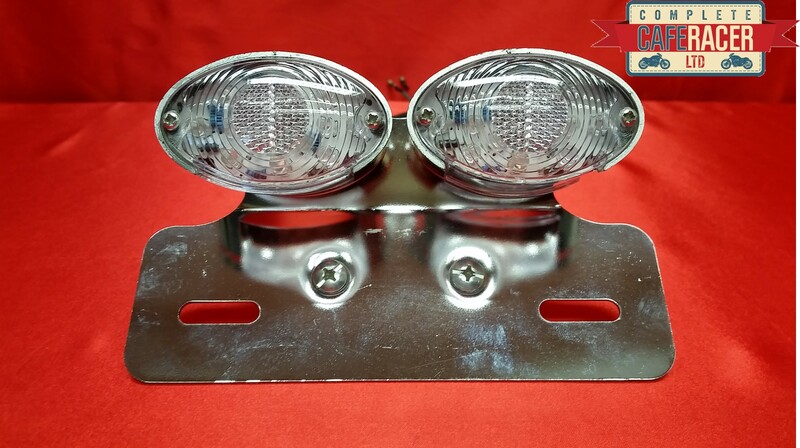 for any bike. 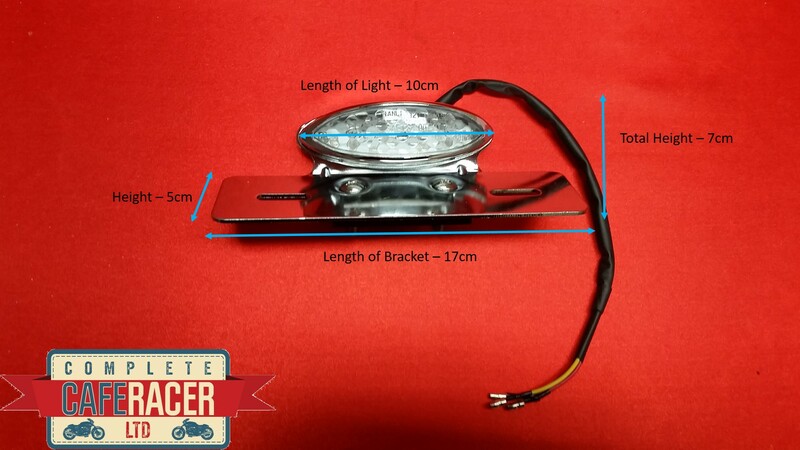 We offer a range of styles and shapes to suit a variety of bikes. 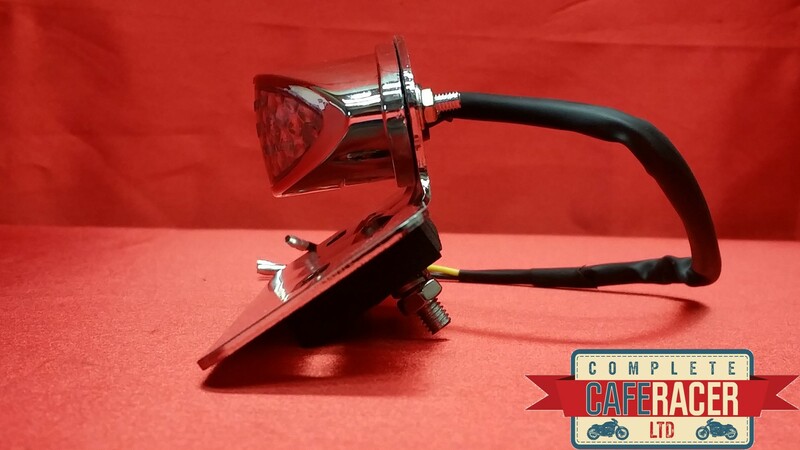 From LED to bulb, clear lenses, to smoked lenses, to red lenses, so we are sure to have one that will suit your bike perfectly!